Ahhh... Summer! 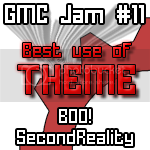 Time for holidays, ice cream, people with less clothes than normal and.... Great GMCJam #11!!! Yes, the time is upon us once more when we spend our sweaty holiday hours slaving over the keyboard to create a 72hour masterpiece and win the approval (or not!) of our peers. 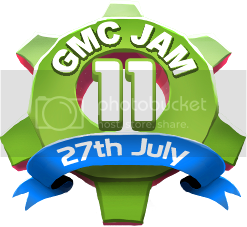 This time around the Jam will run from Saturday 27th of July through Monday 29th and will be 72 hours dedicated purely to game development. Are you ready? * The top 3 games will be featured in a review of some kind on http://gmnewsbite.net/ along with any of my personal favourites. * Cheekiest review of any game wins a banner. * Highest-placing game that is not a platformer will receive Batman: Arkham City Game of the Year edition. * 15th place winner (in the event of a tie, prize raises to the nearest unique place) wins Scribblenauts Unlimited. 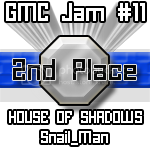 * The median winner wins Serious Sam Classic: The First & Second Encounter and Serious Sam 3: BFE. * Best Reviewer wins Cart Life. 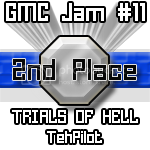 * Best Use of Theme and Best Use of Handicap winners each win Serious Sam HD: The First and Second Encounter. * Best Devlog winner wins Garry's Mod. We'll be offering a free copy of every-one of our current iOS Apps to the top three. Will be offering a prize, as yet undecided. 8th Place will win Frozen Synapse. Give or take a few here and there to finalize the game within reason. * The game I give my 1st place vote. * The game that comes 1 place above my entry (in case of a tie I'll go with the one that I like more). * The game that wins "best use of theme". Indie Power Magazine is willing to do an article on the winning game, as well as do a short interview with the winner. In addition, he will also discuss the top games on the first GMU podcast after the competition. 5th place recieves a copy of Gun Monkeys on Steam. * 5th place-Source Code for "Arachnids: The Saga", as well as full permission to use the idea and graphics(You probably don't want the graphics, though ). * 6th place-If you have minecraft and play Yockasia, I'll give you some of my stuff once Runecraft opens back up. 1. A fabulous retro styled yoyo & pen from a bygone era to 1st place! 2. A custom cutting edge styled yoyo lego car - with custom dadio minifigure to the game I personally like the most! 3. A top secret mystery prize to a random entrant of the Jam! -1st, 2nd and 3rd place winning games will be added to Freetiful.com's sidebar for 2 weeks. -Funniest game will receive $20 in steam credit, if a Freetiful member. -Game that ranked in 5th place will have a short 3 page fan-fiction written of it. -1st place winner can get $20 donated to him or her via PayPal. * I will give out a Steam Key of 'Organ Trail: Directors Cut' to my personal favourite game. * For first - fifth: I will perminately advertise their games on my new website (currently an awful Google Sites site, but I have made my own, I am waiting for my host to move it over to my new, custom site. http://www.sabworld.co.uk) The game link will go straight to where ever they request. We're hoping for plenty of community prizes, so please be generous! GM and GMS user for 2years, above average programming. Hate platformers. 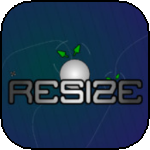 Can do 2D pixel graphics, particle effects, physics, etc. Can work full time on it, and even take project further after JAM if its top 3, live in South Africa. Speak/Read/Write English and Afrikaans and GML. Preferably would like to be teamed with tallented 2D pixel artist, or team with a artist and another programer maximum. Skills : My skills are mainly centered around programming and design. I've been programming for almost 4 years now and have experience with many languages, of course GML is included in there. Also I am able to work full-time on this project. Edited by Nocturne, 20 August 2013 - 08:33 AM. Yeeey! I'm so excited for the jam! I can't wait to see what people create for this. 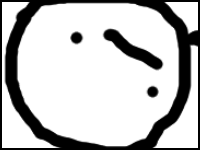 Bleh I'm working both Saturday and Sunday this time around so that's at least 17 hours or waking time I won't be able to do anything. Will probably end up doing a 4-12 hour project again. my dog ate 70 of my hours. Oh yes Community Prizes. We'll be offering a free copy of every-one of our current iOS Apps to the top three. Always like to give something even if my participation might be a bit lacking. Edited by @Alex@, 18 July 2013 - 02:37 PM. Won't be able to participate. WHAT!? NO NOT A JOEK GAEM 3??????? WHAT!? NO NUT A JOEK GAEM 3??????? Sadly, no. The last one wasn't that good and the lag wasn't very realistic, and I was planning to change that. I already know how it would work if I could get to it. And I had many new planned features and glitches. But, it isn't going to happen. EDIT 2: Now that I'm out, I have some pretty high expectations, Dadio. Also, Newkill, you better make Star Bomb Rock Bird 3! Edited by Lukasmah, 18 July 2013 - 03:41 PM. 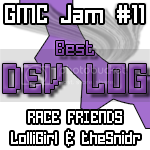 I got time off work and told all my friends I'm busy, so GMC Jam #11 here we come! edit: also, I'm doing fan-art for the top five games and also that which gets voted best use of theme. Edited by Lune, 18 July 2013 - 04:33 PM. I haven't been good at following through on prizes, so I don't think ill be offering any this time. Good luck to everyone! Let's do this thing! Edit: I'm entertaining the idea of teaming up with someone. Can't offer much, but maybe moral support or possibly devlog entries, just because of lack of time for actual coding. Edited by HayManMarc, 18 July 2013 - 04:37 PM. 3 months are way too long if you're waiting for the next Jam. I sure hope I'll be able to participate in this one! I've been stalking since #7, but finals always killed me. Jam no. 11 huh? Bring it; I've been waiting for three months and I'm not going to Settle* for anything less than 20th place this time. Edited by mr magnus, 18 July 2013 - 08:56 PM. This time I'm going to finish the game. Promise! I'm hoping this time I'll get a game done as well. I always start the Jam weekends with the best intentions, I'm hoping for a good idea this time! Oh joy it's finally coming! I really want to test my skills this time around and push myself. Especially when it comes to polish and graphics. In fact, I've spent a great deal of time looking at other games and asking "what makes this game 'polished'?" Looking forward to this thing! I am going to join this jam. I have seen how other jams have worked and now want to participate. I have a great idea for a new type of devblog. Can't wait! Why don't we all just start twitter devlogs? because that would require that we all had a twitter account. Good for you. Never Seattle for less than your best. It will cause you Tacoma depressed. Regardless what city you're in... We're here for you, man. If anyone needs me, I'll be somewhere digging a hole to hide in...possibly in Seattle, I'll buy a plane ticket in the morning. 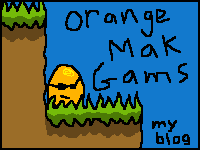 It's sure: I'm going to make a game. Good or very (very) bad. If I am practicing I might as well do everything myself, or shall I team up with someone/team? 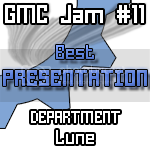 i wouldn't think anyone would enjoy my GML skills, I'd be holding them back. Most people work by themselves. TheSnidr and Lolligirl are more of an exception than not. 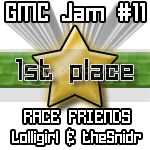 to be honest there haven't been many teams in the former jams, usually maybe only 1 or 2 against the 50+ entries made by a single contestant, like Lune said, lollgirl and TheSnidr are usually the only team since they are so close friends outside the GMC. So you might have some difficulty finding a teammate; even if you weren't new. Yeah exactly. Alrighty cool beans. I have noticed that basically everyone who didn't play all the games didn't play my game, so maybe that's what happened. I wouldn't know. I'm pretty sure my platformers are always the hardest game in any individual Jam. 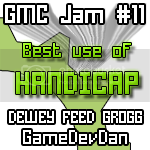 I played and voted for MOtG's game. The randomiser works! I will draw a random doodle in MS Paint for the winner. Edited by orange08, 18 July 2013 - 11:37 PM. I cannot wait to win the always-wonderful Orange prize. The one that actually wins the Jam. Thanks to the Steam Summer Sale I have a good few gifts to give! This time I want to be oddly specific about who gets 'em, so the following will be given out. The highest-placing game that is not a platformer will receive Batman: Arkham City Game of the Year edition. The 15th place winner (in the event of a tie, prize raises to the nearest unique place) wins Scribblenauts Unlimited. The median winner wins Serious Sam Classic: The First & Second Encounter and Serious Sam 3: BFE. The overall best reviewer wins Cart Life. The Best Use of Theme and Best Use of Handicap each win Serious Sam HD: The First and Second Encounter. The Best Devlog winner wins Garry's Mod. I will contact winners regarding prizes after the release of the results, you may decline your prize, and if not redeemed by the next Jam I reserve the right to re-gift them. Edited by NAL, 18 July 2013 - 11:51 PM. Probably won't enter because I work Friday, Sunday and Monday. Saturday I'm off to visit my family. That upsets me. You can't stop at second! Looks like a whole lotta people are gonna be busy & are gonna miss this Jam - which is sad to hear. @ All those people: even if you just get a few hours in, you should enter something! I rarely put anything close to 72 hours in more like around 5 or so... so I dunno, just keep things small, simple & tight & it's still do-able in only a few hours. Hoping to see a big turnout with lotsa new faces! I might be doing the jam for the first time ever....given I don´t have school afterwards. I will probably be looking for a team, as well. Man, I'm working all of those nights, so it would leave me with very few, like maybe 15 total hours to actually dev. Not sure if I can enter this one. I'll try something then But it probably won't be a winning entry. I will be joining once again. I will try to make my next jam game meet the quality of my previous one (Distant Mind). Edited by 11clock, 19 July 2013 - 02:28 AM.